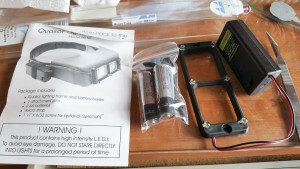 Over the years I’ve spent an insane amount of time setting up lighting at my workbench. Different fixtures mounted on the ceiling, walls, and free standing, holding bulbs of, initially, daylight corrected incandescents, then CFL’s, and now I’m switching to the new daylight corrected LED bulbs. The new LED bulbs aren’t inexpensive, the last 100w I bought was $40, but it’s perfectly balanced for color, generates no heat, and will last the rest of my life. One issue that’s always cropped up, though, no matter how many bulbs I have and where they’re placed, is shadow. No matter where you’re working, you lean in close to a project and BAM, suddenly you’ve got a big shadow from your head (and for some of us, that can be a BIG shadow!). Enter the Quasar LS. When I first saw this I thought it a gimmick. I have the old Optivisor flashlight attachment that I never used, as it didn’t put out enough light. 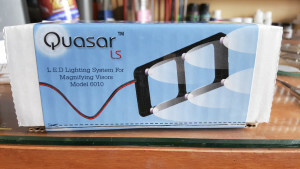 The Quasar LS, though, with its 6 high intensity LEDs promised more and even light. The Quasar comes with everything you need to get it working, except for a small screwdriver. 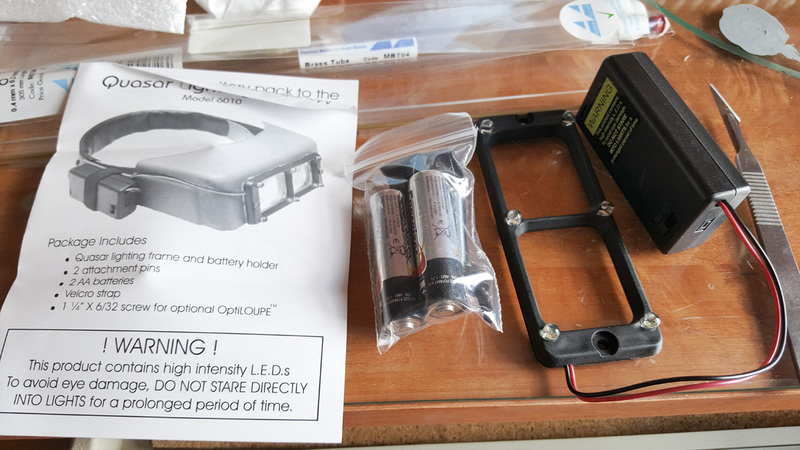 Using the existing mounting holes for the magnifier plate, and a Velcro strap for the battery box, the assembly installs in mere minutes. When I first tried it I believe my exact words, said aloud, were “Holy crap, that’s a lot of light!” It’s not like shining a spotlight on your work, but it’s a good amount of light, aimed right where you’re looking, and it completely eliminates shadows. 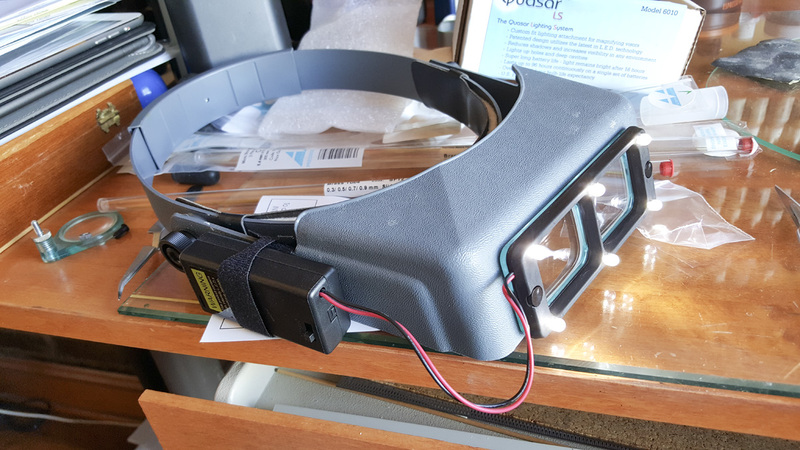 It’s not perfect as the battery pack does add a bit of weight to your Optivisor, but not an unwieldy amount. The power switch can also be tricky to find when it’s on your head. That’s about it, though. 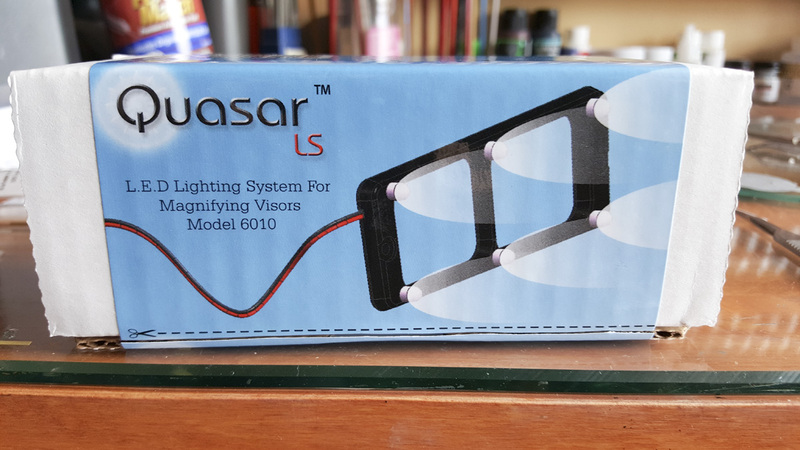 I spent around $30 for my Quasar LS and can’t recommend it enough. 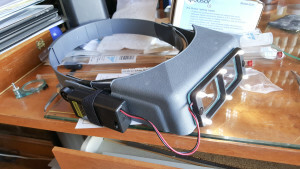 It’s such a great idea that I fully expect Optivisor to start incorporating something like this into their visors in the future (unless they already have and I missed the product announcement).